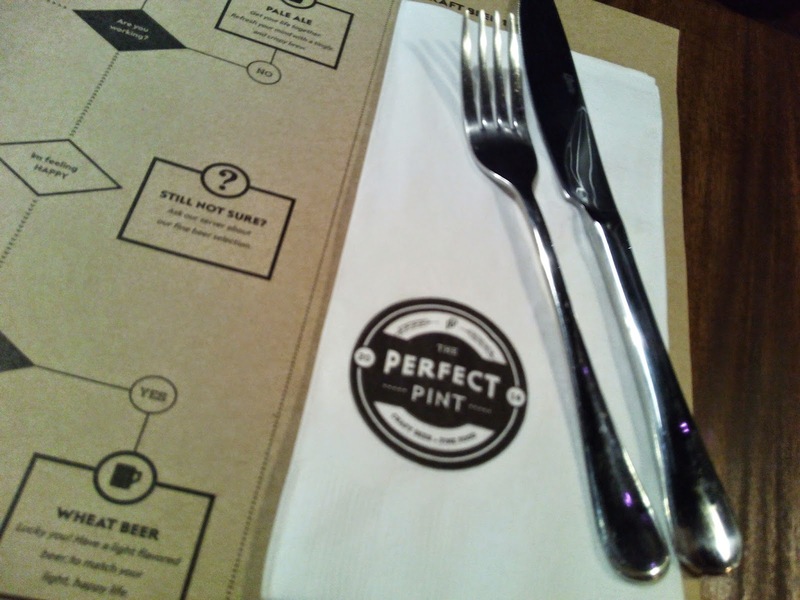 The Perfect Pint is a relatively young gastro pub but it has already established loyal followers. 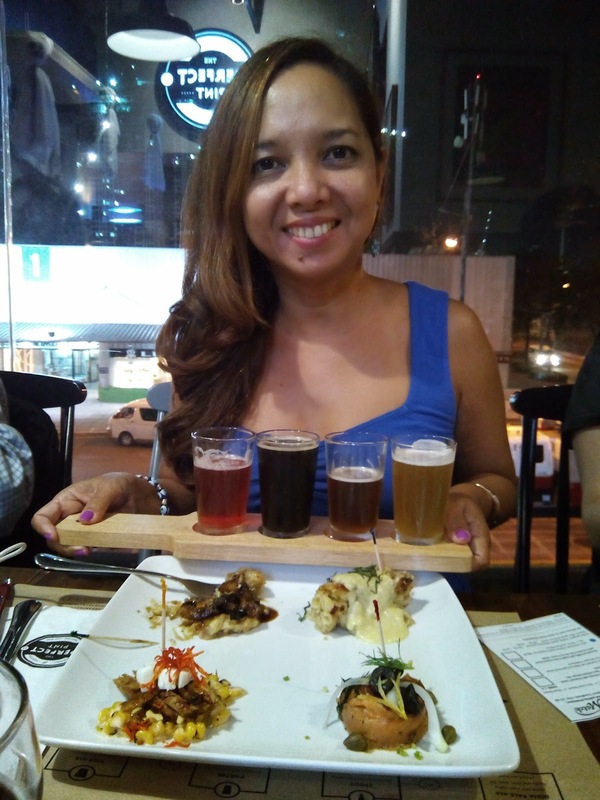 Not only they serve good food but they are known for their craft beer. 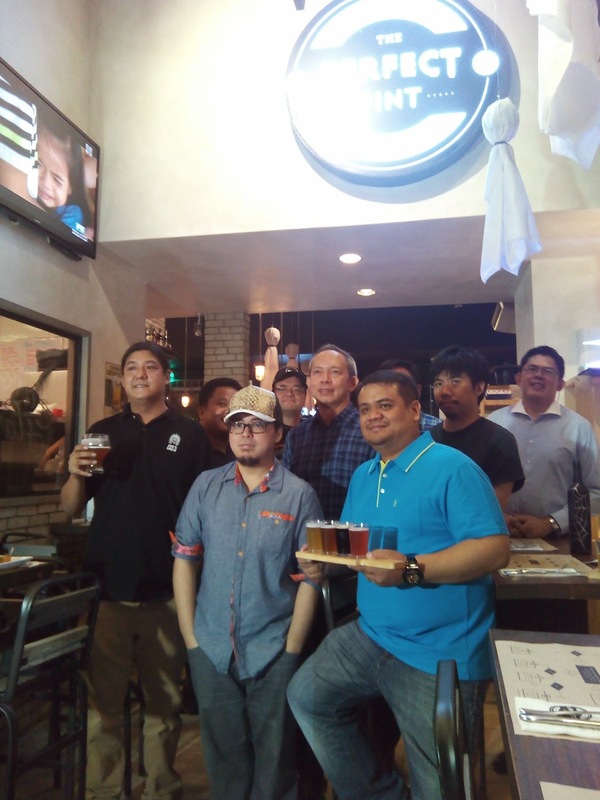 I am quite amazed that there are now tons of local and artisinal craft beer. I hate to admit that the only beer I know is San Miguel .. well, there's also Red Horse, Heineken and Asahi. But since I'm allergic to malt, I did not try to get acquainted with beer. But getting an invite to The Perfect Match broaden my horizon about beer, lager, pilsner, etc. 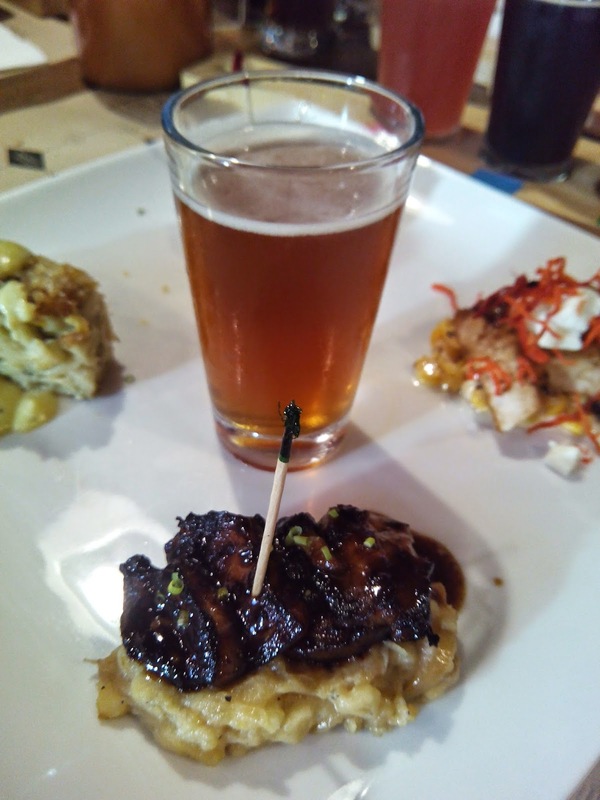 The Perfect Match is a craft beer and food pairing by chefs, brew masters, and food editors. I was able to attend Week 2: Band of Brewmasters. 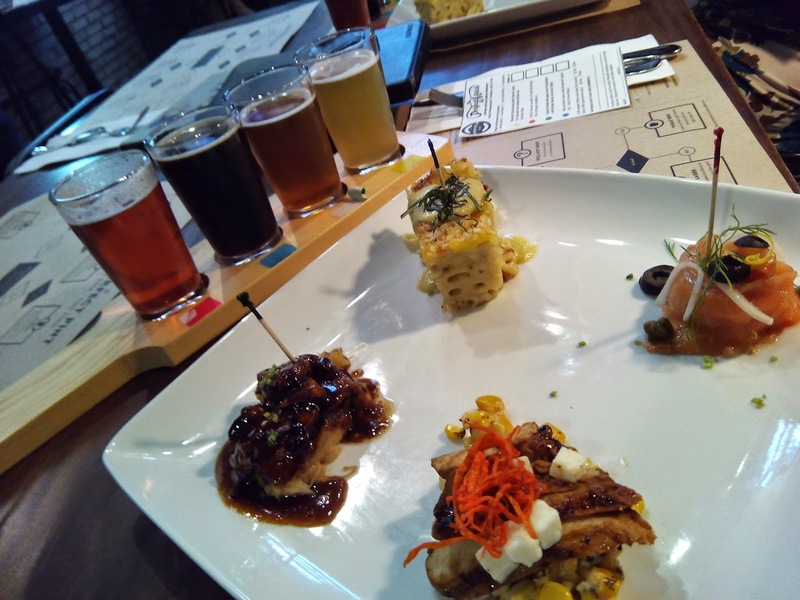 The craft beer and food pairing are marked by colors. 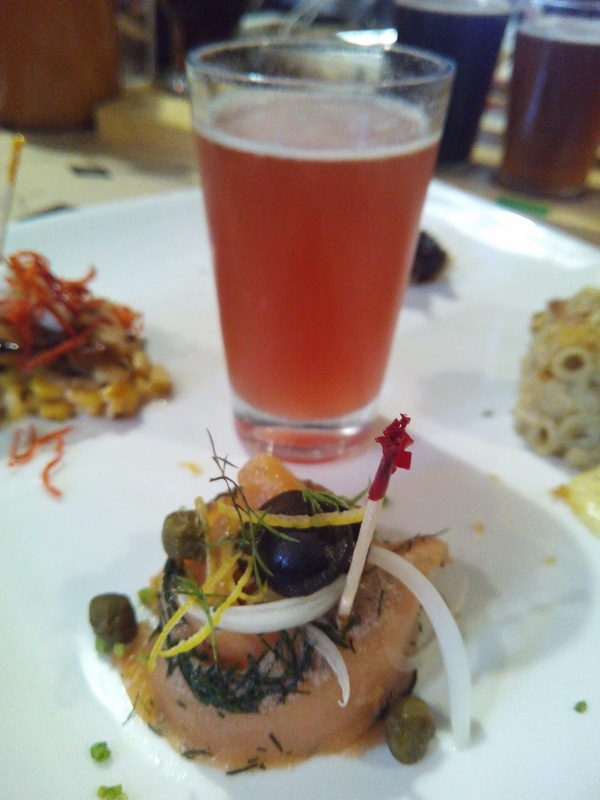 Salmon Gravad Lax with G-Point Red Head Ale by Chef Morgan Kallefjord. I took a sip or two before having a bite of the salmon. The ale was not that strong and bitter. It even has a fruitty taste. It goes well with the salmon. 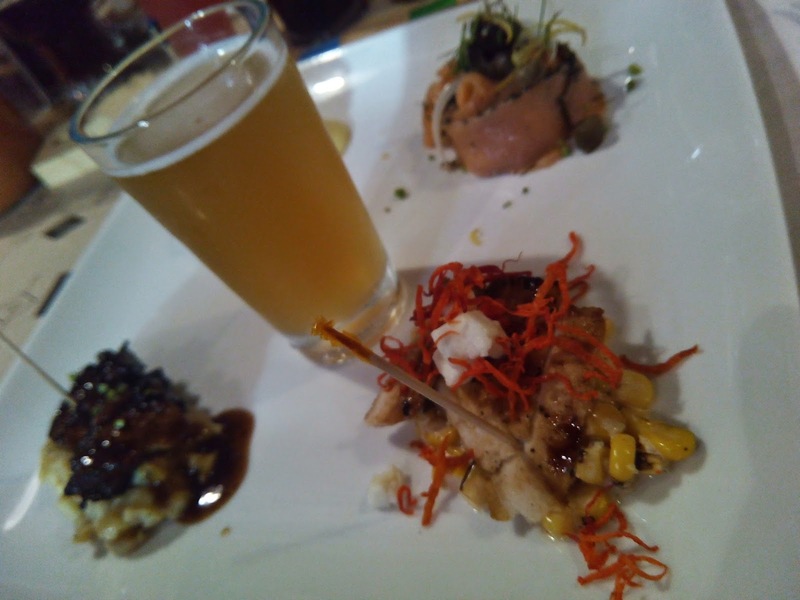 Blackened Chicken Breast with Charred Cuban Corn Salsa with Sierra Madre Wheat Ale by Chef Francis Onate. Lucky me! No malt (I hope). I was still cautious though by just having a sip or two. Surprisingly, the ale tastes quite good and refreshing. It would've been nice if its sweeter though. Is there just a thing as sweet ale or beer? As for the chicken, I think I just found my perfect match! The blend of flavors and spice complements the ale which has just the right hint of bitterness to it. The red chili strips will make you want to drink more as it balances the flavors. 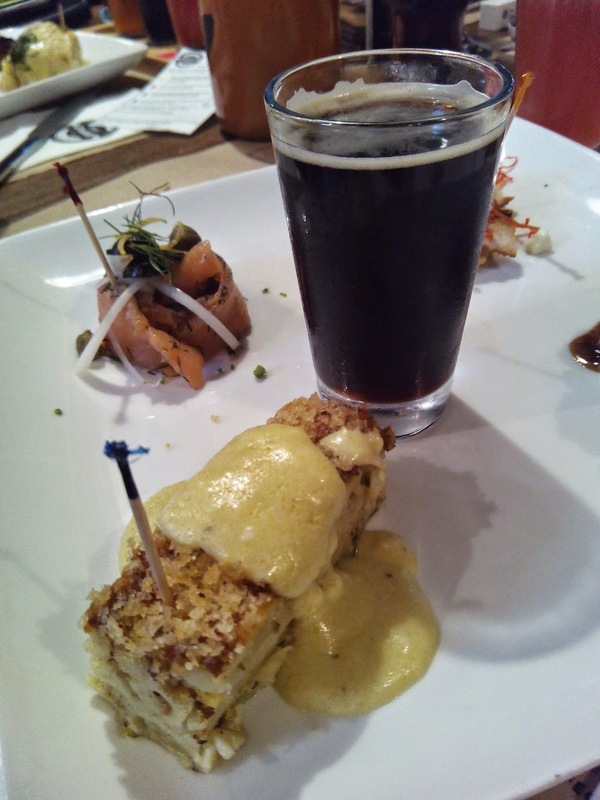 Mac and Blue Cheese with Katipunan Signal 1 Stout by Chef Kiyo Miura. The pasta was great except for the cheesy-salty sauce and the chosen stout was strong and bitter. But the bitterness was a welcome flavor that smoothens out the flavor from the pasta itself. Glazed Pork Belly with Apple Onion Potato Mash with Fish Rider Pale Ale by Chef Francis Ornate. I think pale ale agrees with me but I still prefer sweet drinks. I love the food and drink. Another perfect match for me. The ale is also fruitty if I'm not mistaken. These are the Band of Brewmasters responsible for the food and beer pairing. 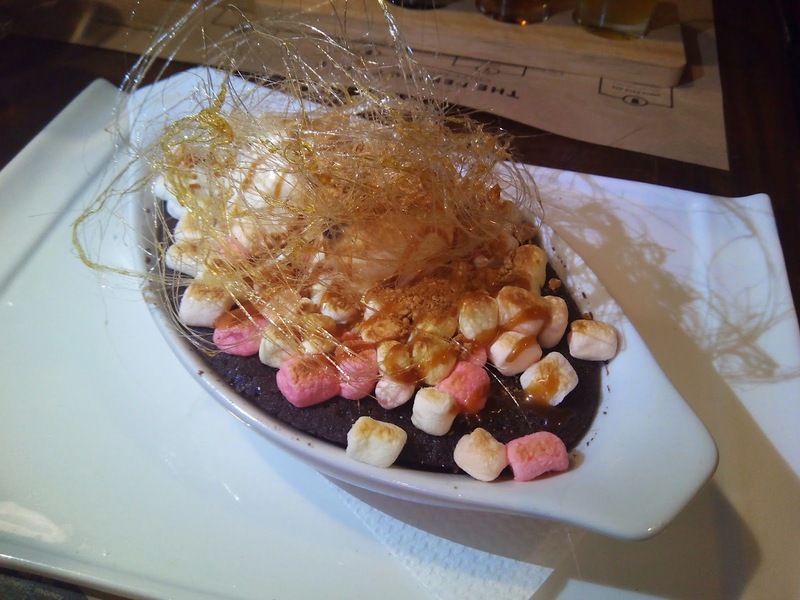 You can still try their food pairing creations and the succeeding pairings until November 13. Here's the lovely Arabelle, my co-member at the Philippine Bloggers Network. Now this .... is the perfect match for my ale. Smores! Its really, really good that I don't want to share. Shhhh ... Good for sharing.